One of the lessons we have learned during our stay here is that Israel is an incredibly beautiful land, but it’s also an incredibly complex land. Politics and religion are deeply intertwined. If you want to garner an emotional response, just ask someone how they feel about the Palestinian State or the Temple Mount. On the topic of Palestine: We’re reserving that for our icebreaker the next time we want to make everyone uncomfortable at a party. But, a few weeks ago, we mentioned a bit of the history of the Temple Mount, and we thought we’d go a bit more in depth about its past. We’re first introduced to the Temple Mount as we know it in II Chronicles 3:1, when Solomon builds his incredible temple where his father David had purchased Ornan’s threshing floor. This served two purposes: it reinforced the sacredness of the site where the destroying angel appeared to David, and his actions that stopped the plague. It also bolstered Jerusalem’s defenses—the City of David was heavily fortified, but weak to the north due to the rise of Mt. Moriah above it. An enemy could easily come down the slope against the city. The Temple Mount served as an added fortification, made all the stronger by the Divine Presence within. However, we know that same Divine Presence soon fled the temple, and it was destroyed and rebuilt, only to be rebuilt then destroyed again in 70 AD. 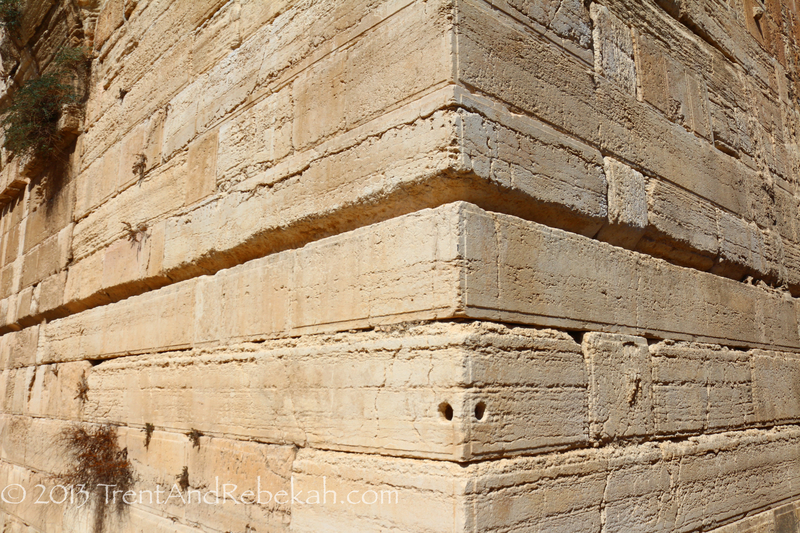 Today, you can still see the huge stones Herod the Great used to build the Temple Mount (some as long as 49 feet), which make credible Josephus’s description of a temple of epic proportions. One of the Temple Mount stones. This one is around 24 feet long. The longest known measures 49 feet. Hadrian rebuilt Jerusalem, and successfully triggered another revolt when he built a temple to himself and Jupiter on the ruined Temple Mount. Later, in the 4th century AD, the Jews were allowed to again rebuild their temple. The great earthquake in 363 halted those efforts. But this did not stop them from performing sacrifices on all that was left—the great foundation stone upon which tradition says Abraham sacrificed Isaac. During the Byzantine era, the Neo-Persian Empire retook Palestine and granted the Jews freedom to rebuild their temple. Then that was scrapped when they handed control of Jerusalem over to the Christians who, in the nature of good sports, kindly tore down the new construction and made it a garbage dump. Which is how it remained until the Muslim period. As soon as Caliph Omar captured Jerusalem in 637 AD, he made a beeline for the Temple Mount with his advisor. 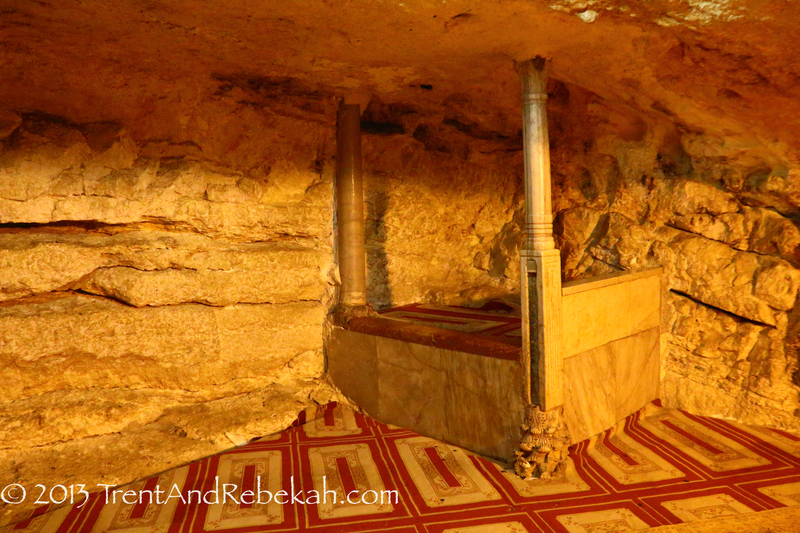 This converted rabbi had him build a monument over what he believed to the be the Temple’s Holy of Holies, and later where Mohammed ascended to Heaven to speak to God. This also happened to be the same bedrock on which Jews had sacrificed before. 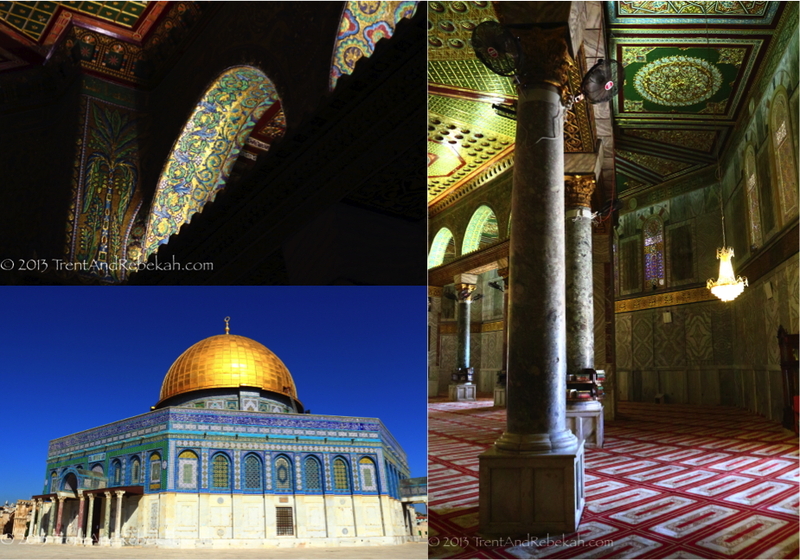 In 691 AD, the general structure of the Dome of the Rock was built over the sacred foundation stone, all based on the Byzantine architecture of the nearby Church of the Holy Sepulchre. The Golden Dome as we know it now was renovated in the early 90s to include the gold-plated roof tiles, donated by Jordan’s King Hussein, who personally funded the project by selling one of his grand palaces in Britain. The Quran and attending traditions say the Temple Mount was the “Farthest Mosque” to which Muhammad traveled in one night as part of a miracle. To further commemorate this event, the Al-Aqsa mosque was added to the Mount in 705, after which man vied with nature to rebuild each time one of several earthquakes would take it down, until 1033. In 1099, the Crusaders took Jerusalem and converted the Al-Aqsa into a church (naturally), and then the Ottoman Turks reconverted it into a mosque (naturally) when the Crusaders were driven out. 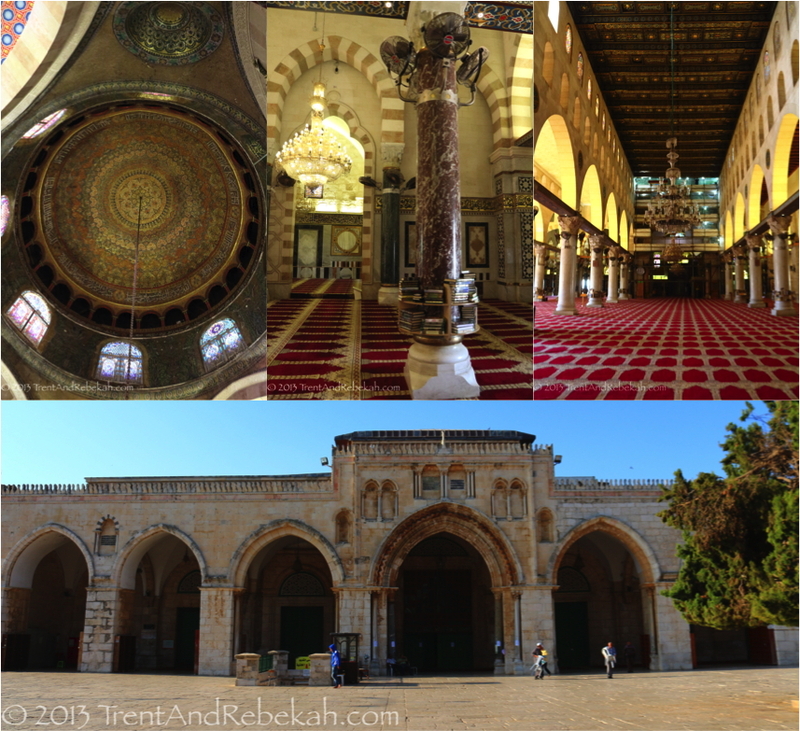 It is said to be an architectural carbon copy of the Church of the Nativity in Bethlehem. Control of the Temple Mount more or less remained in the hands of the Muslims, with access being restricted or granted depending on who was in charge, whether Britain, Jordan, or Israel. After the 6-Day War in 1967, Israel granted control of the Temple Mount as a waqf, or sacred donation to Islam, to help establish better relations with the Arab community. Today, orthodox Jews do not ascend the Temple Mount, because the location of the Holy of Holies is unknown—and thus, the whole Mount is holy. For other visitors, modesty is strictly enforced, and religious symbols or texts (crosses, Bibles, Stars of David) are strictly forbidden. 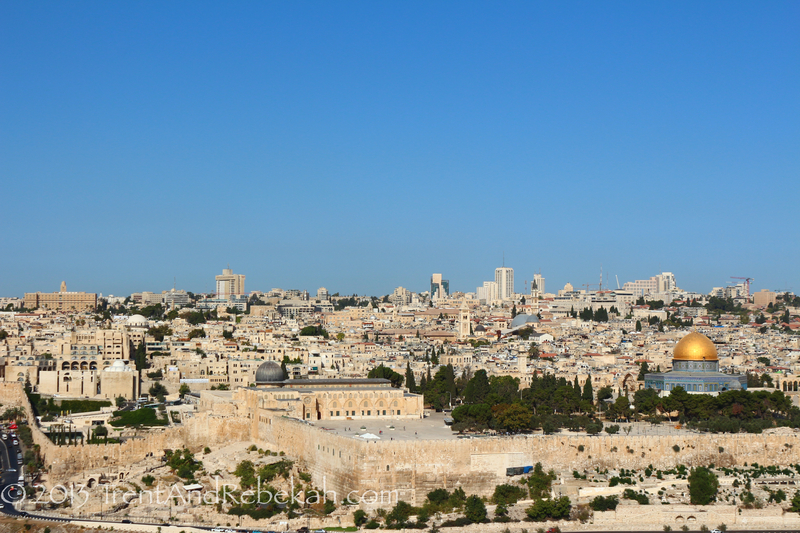 If you don’t want to go all the way up, you can visit the Western Wall or just sit on the southern steps and imagine throngs of the faithful going up to honor their religious obligations.